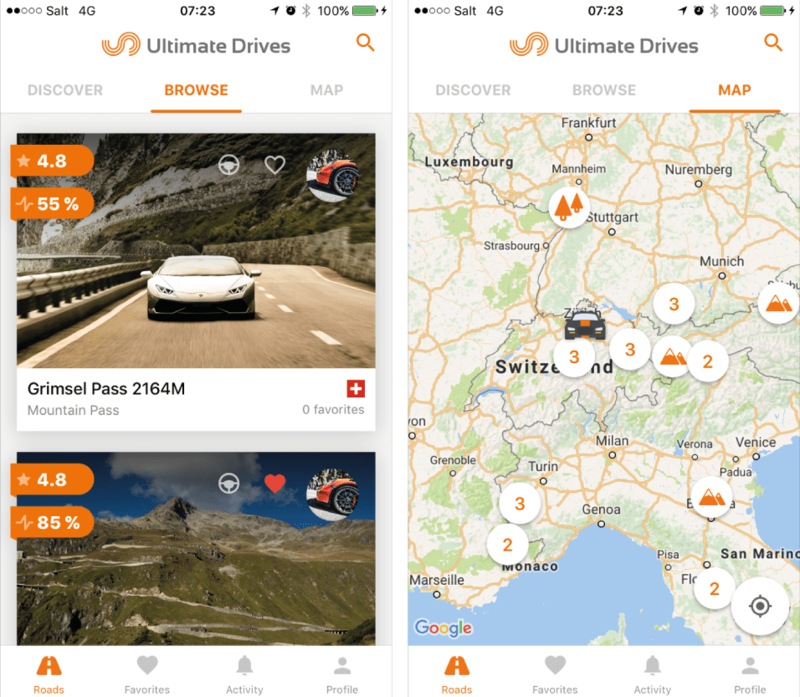 The complete solution for researching and driving the greatest driving roads across Europe. 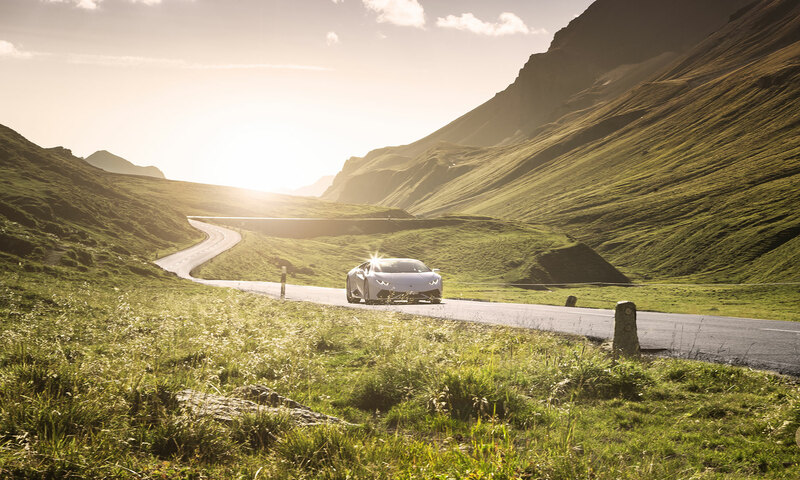 Make your journey more memorable and ensure you're taking the Ultimate Drive. 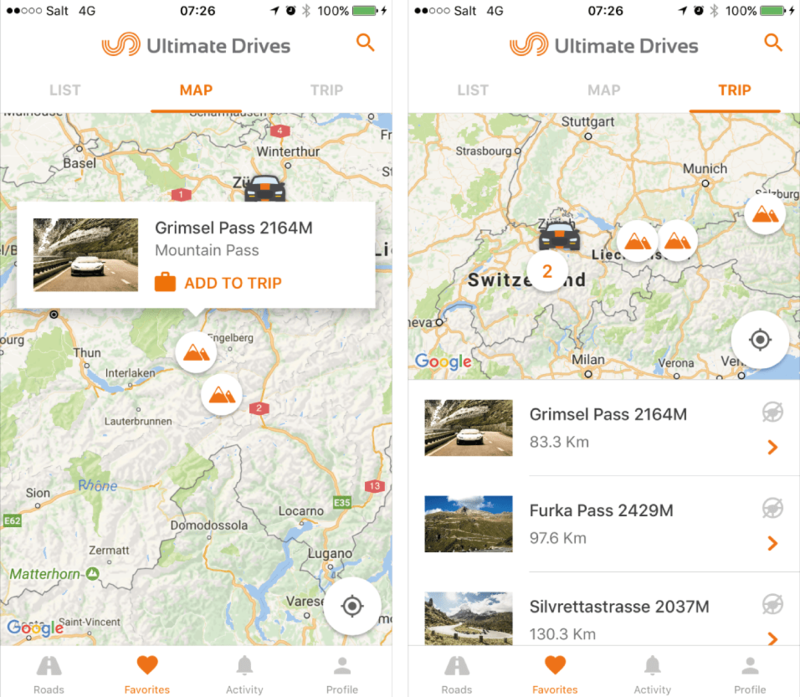 Our FREE Greatest Driving Roads App contains 70+ of the Greatest Driving Roads across Europe – all roads in the App have been researched and driven by the team at Ultimate Drives over the last 8 years – this is not a Google list of best roads regurgitated - but real roads and reviews based on our real driving experiences across Europe. We hope you enjoy, and would love you to be part of our growing community of driving enthusiasts. 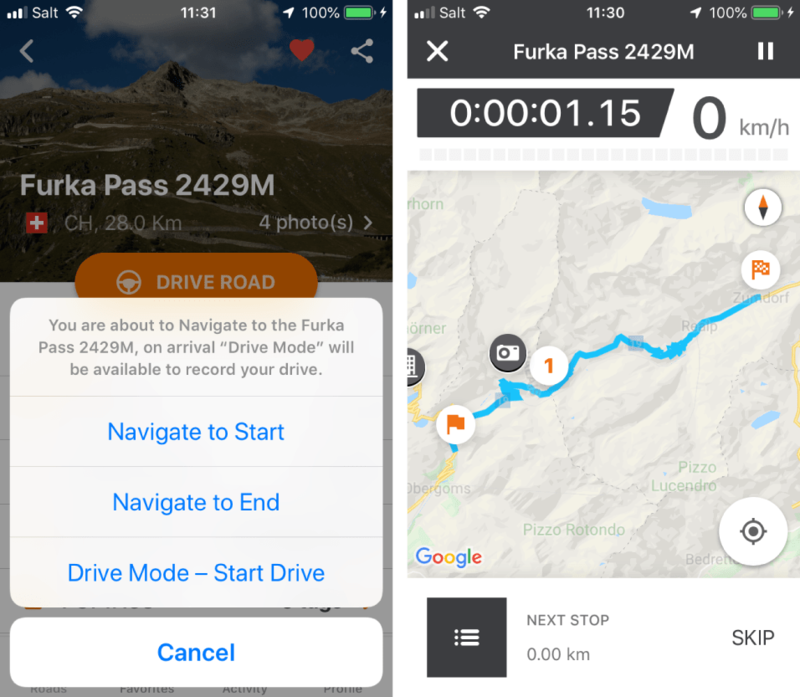 Scroll through our full database of roads, sorted by proximity to yourself, or enjoy a map view where you can drill down to the detail of each individual road – mark roads you have driven, mark your favourites. 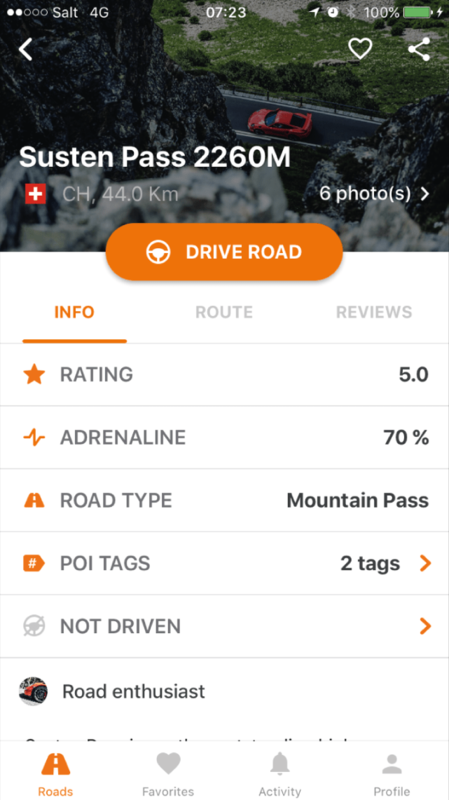 After choosing a road, review a description of the route, based on our teams real driving experience – you can also then check out a detailed map view with suggested start / end points, hotels, restaurants and other points of interest along the way – you can also see any user reviews on each road. Looking for inspiration, for example a decent road close by to a motor museum or race track? 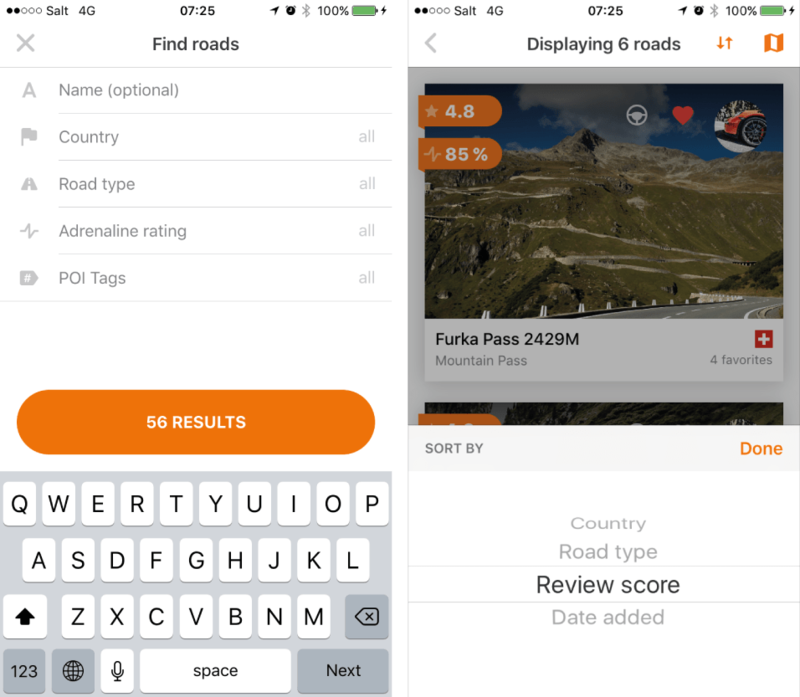 Then our search facility offers plenty of different criteria, including by country, road type, and most uniquely, by points of interest. 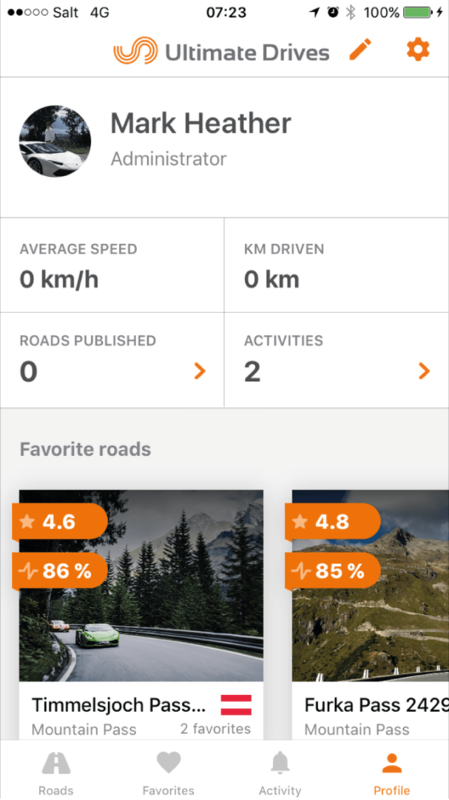 Here you can see a summary of your interaction with the App, including roads driven, reviews posted, and favourites. More routes, more features, more excitement. Premium ultimate drivers get it all. We always endeavour to bring you the very best - premium goes the extra mile. 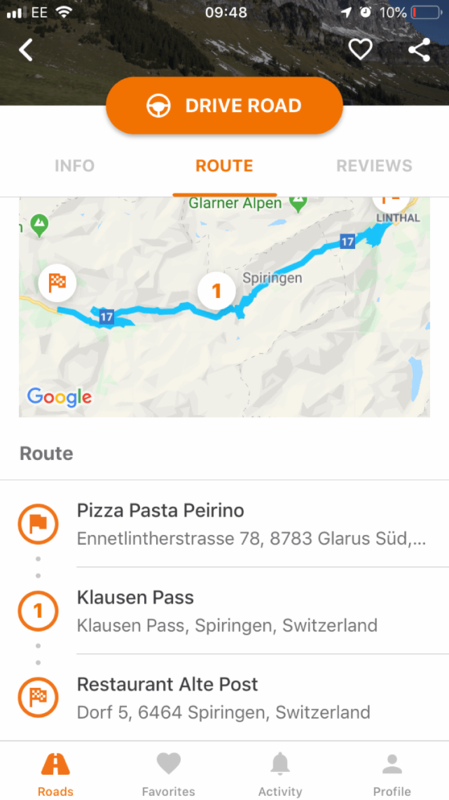 View your own Favourites list, together with an overall map centred around your current location – this in essence becomes a subset of the roads that you want to tick off your driving bucket list or at a later include on a road-trip. Full statistics and ratings for each and every route for you to peruse and then explore. Connect and share with friends, mark you favourites, and later drive and review. Put your driving experience into words for fellow explorers to read and then follow suit.